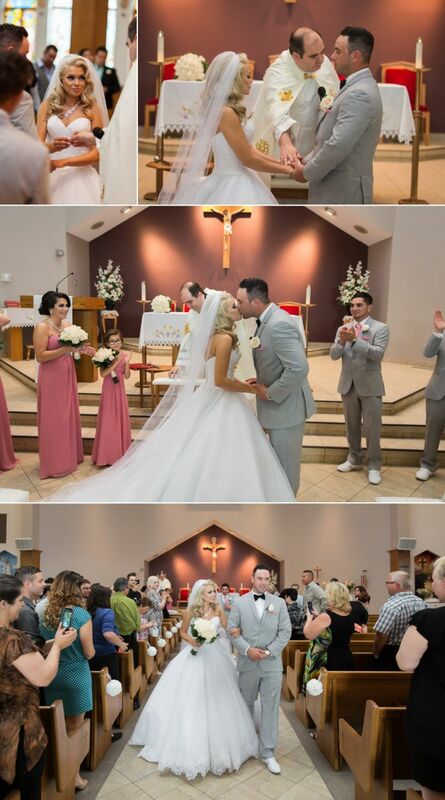 Last weekend, Michelle & Gabe were married in front of their family and friends at Our Lady of Fatima Church in Edmonton. 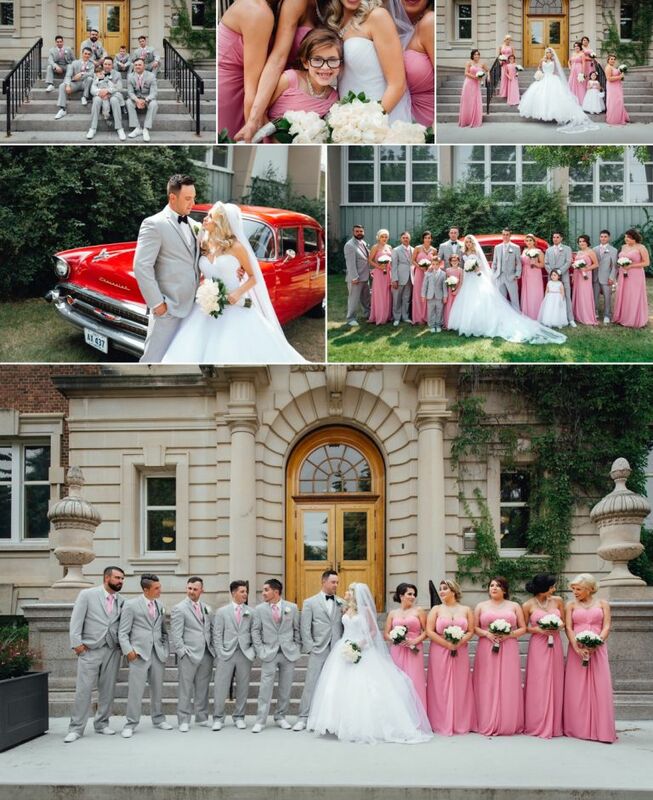 It was a particularly hot day in Edmonton so we did our best to pick some nice shady spots to keep everyone as cool and comfortable as possible and fortunately the church and reception location both had great A/C! 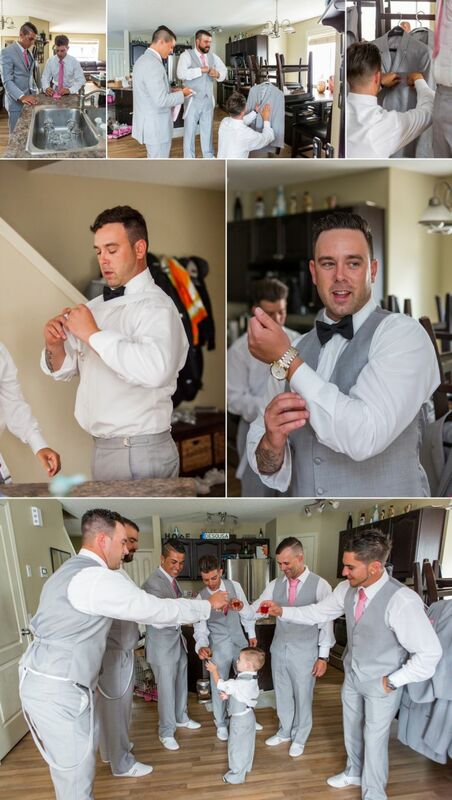 The day started out with getting ready photographs at Michelle & Gabe’s home where the boys were all getting ready. Sarah stayed with the boys while Bruce headed over to Michelle’s parent’s house where Michelle and her bridesmaidsÂ were getting ready. 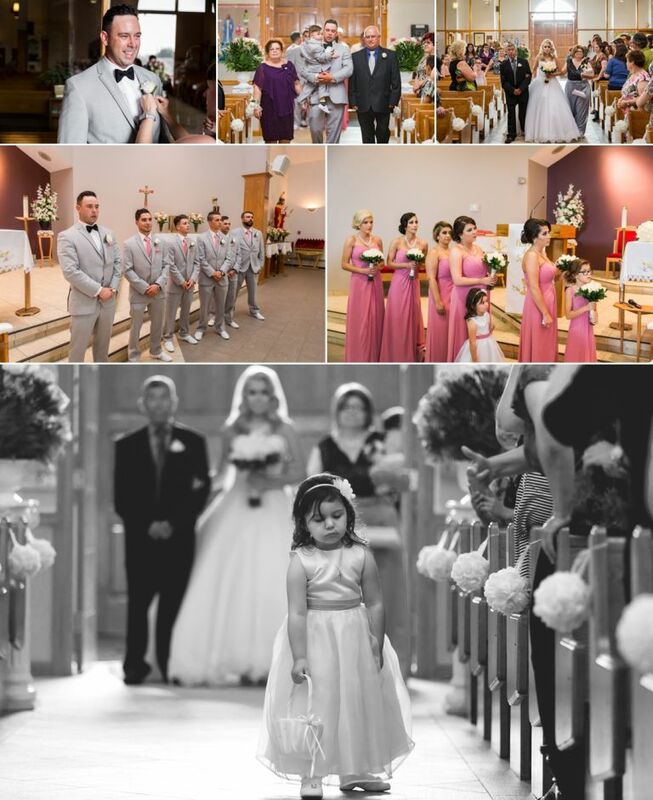 Their ceremony was held at Our Lady of Fatima Portuguese Church in Edmonton’s Newton district.Â We’re not convinced that the flower girl was excited about her role but perhaps it was just heat. After the ceremony we headed to the University of Alberta for family photos and photographs with the bridal party & happy couple. En route we made a quick stop at Newton School where everyone met and grew up together and took a few photographs with Gabe’s father’s sweet 57 Chev. Gabe & Michelle held their reception at the Capilano Conference Centre. During the speeches, a really sweet moment happened when Michelle & Gabe’s son Eusebio grabbed the microphone and reminded everyone to not drink and dive. Pretty insightful for a little guy who still won’t be able to get his driver’s license for at least another 14-16 years. Thanks again to Michelle & Gabe for choosing us to photograph your wedding day. We enjoyed getting to know you better and spending the day with your friends and family. We hope you treasureÂ your photographs for many years to come.